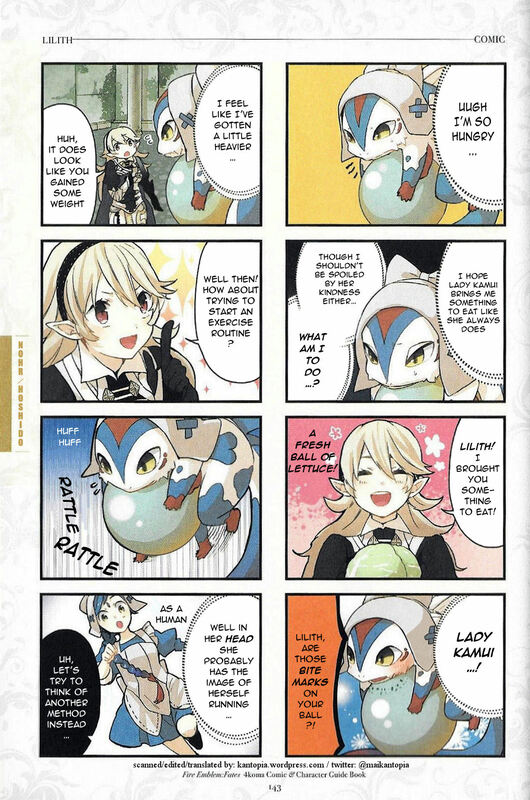 The last of my scan/clean/translate of Fire Emblem Fates: 4Koma & Character Guidebook (ファイアーエムブレムif 4コマ・キャラクターガイドブック). 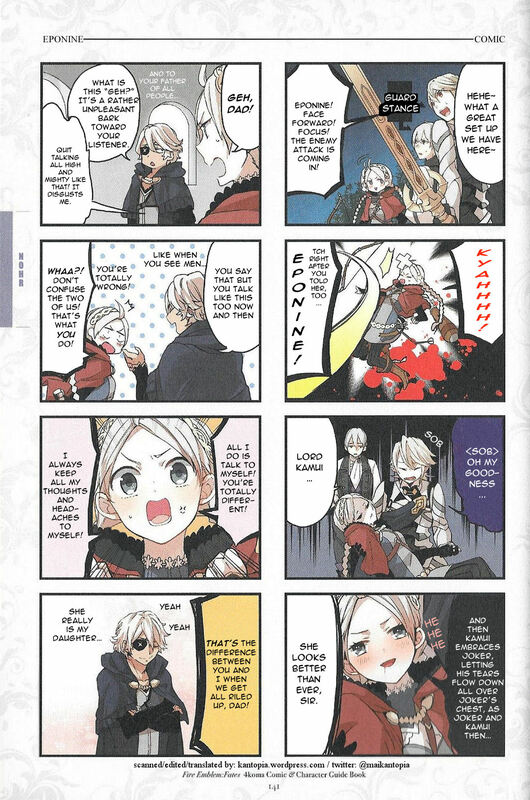 I do not post the raw scans here, but you may email if you want them to compare translations! Here is today’s page! It is the FINAL page of this book and of this year! 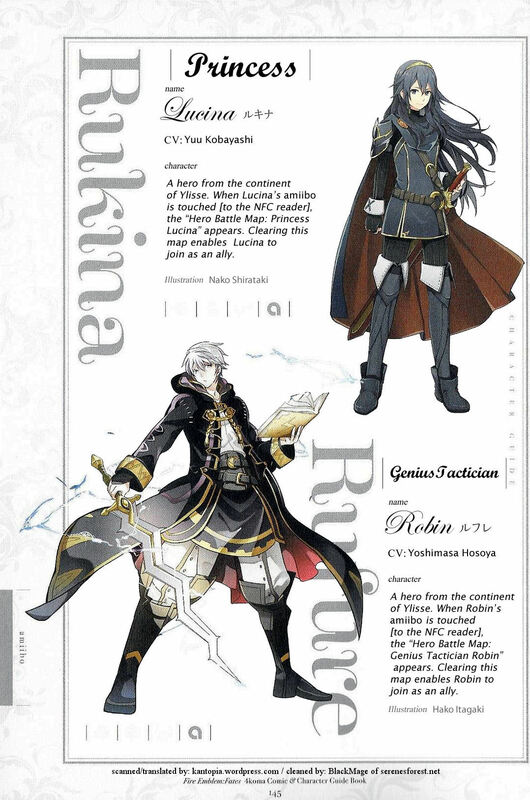 (Page 145) It features Lucina and Robin. Here is today’s page! 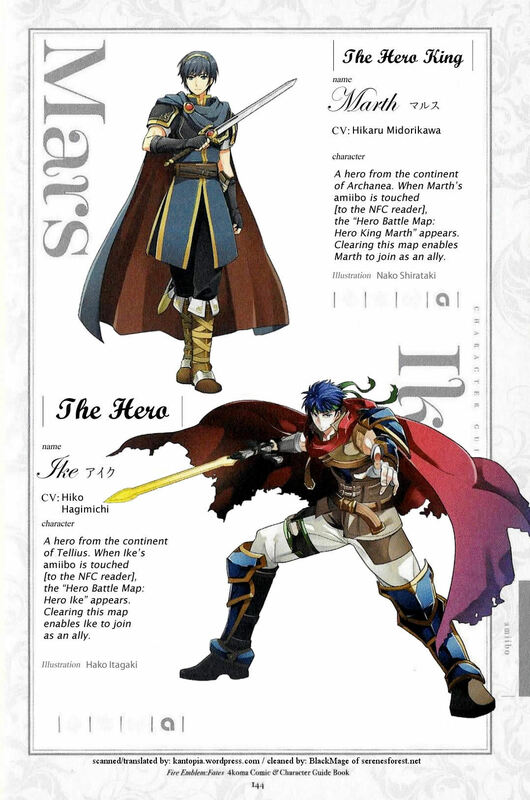 (Page 144) It features Marth and Ike. Here are today’s pages! 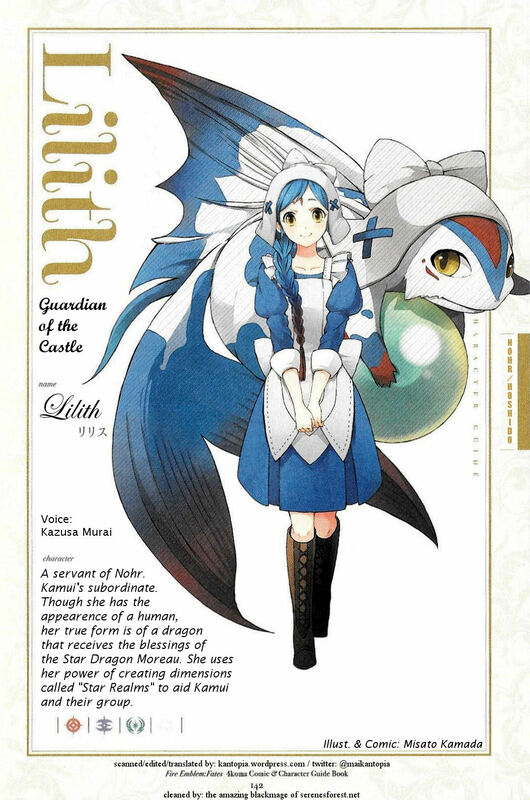 (Page 142-143) They feature Lilith. Here are today’s pages! 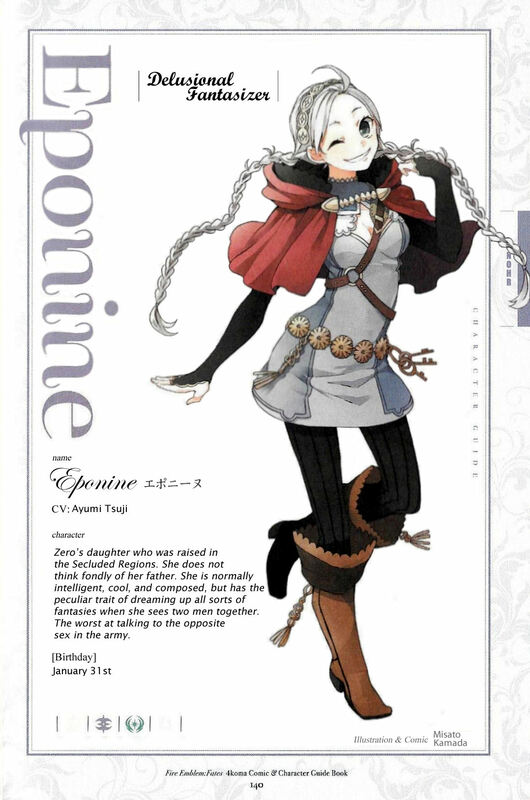 (Page 140-141) They feature Eponine. 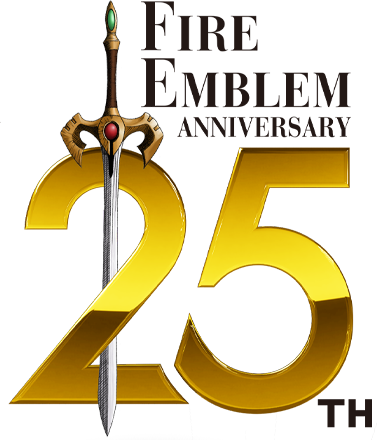 There was a lengthy (eight page) interview with Masahiro Sakurai near the end of the Fire Emblem 25th Anniversary Book. In it, Sakurai’s history with the Fire Emblem franchise is explored. I provided the scans to my friends at SourceGaming, who translated the first part of the interview before. And now, they translated the second part of the interview in full. Sakurai details his opinions on the games of the franchise, such as Genealogy of the Holy War among others! 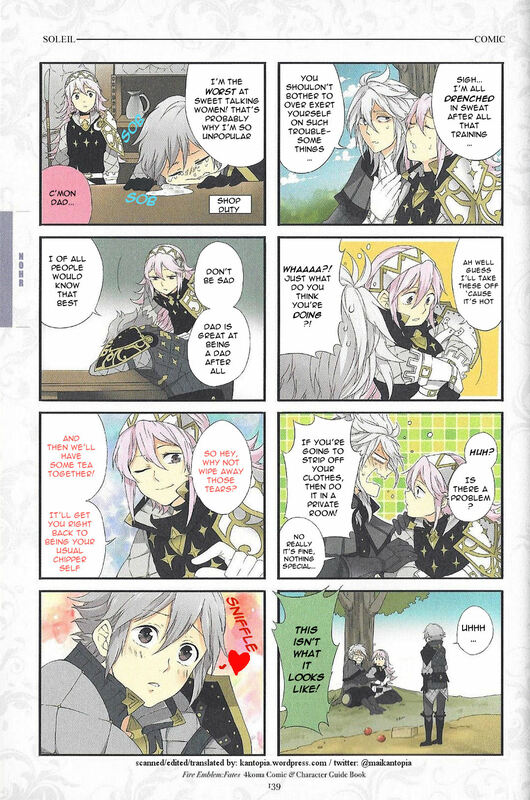 There are some Fire Emblem Fates spoilers, so please be careful. 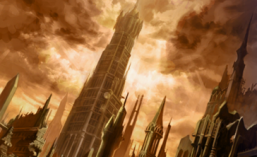 Thankfully, SourceGaming has marked the spoilers so they can be avoided. Please go over and read it! Here are today’s pages! 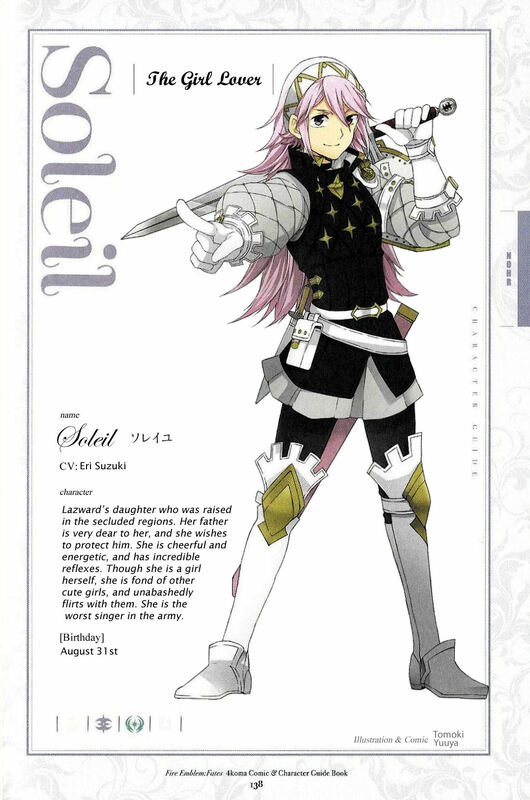 (Page 138-139) They feature Soleil. To those who celebrate Christmas, I hope you have a good time! For everyone else, happy holidays! Have a Delibird for your trouble! (Translations will continue tomorrow). 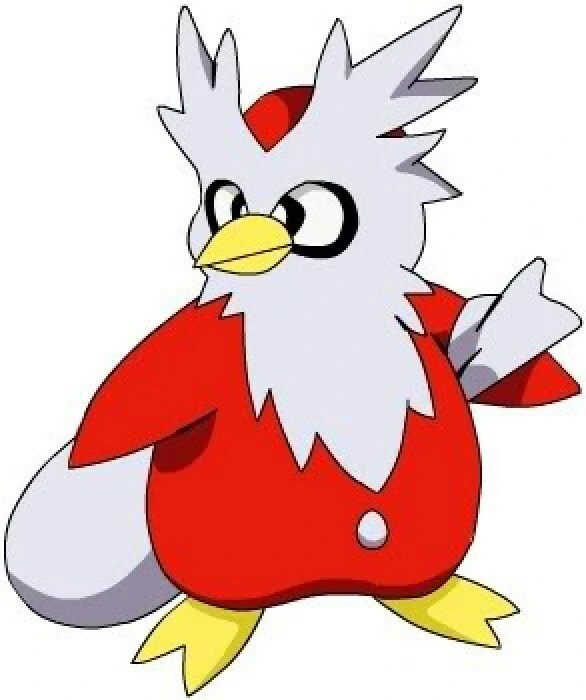 Trivia: Delibird has the exact same name in Japanese, with the similar sound to “delivered.” Hope your gifts were delibird on time this year!